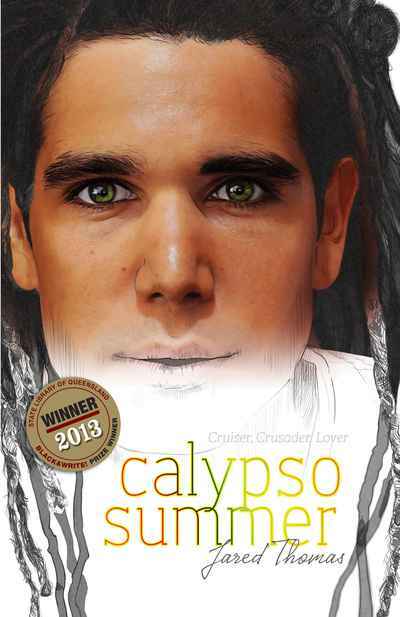 Calypso Summer is a story told by Calypso, a young Nukunu man, fresh out of high school in Rastafarian guise. After failing to secure employment in sports retail, his dream occupation, Calypso finds work at the Henley Beach Health Food shop where his boss pressures him to gather Aboriginal plants for natural remedies. Growing up in urban Adelaide and with little understanding of his mother’s traditional background, Calypso endeavours to find the appropriate native plants. This leads him to his Nukunu family in the southern Flinders Ranges and the discovery of a world steeped in cultural knowledge. The support of a sassy, smart, young Ngadjuri girl, with a passion for cricket rivalling his own, helps Calypso to reconsider his Rastafarian façade and understand how to take charge of his future.